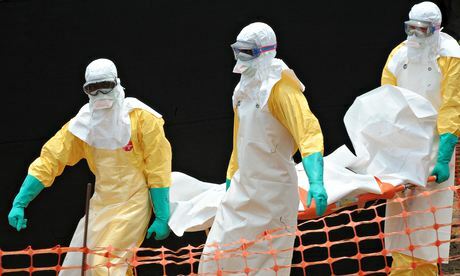 A statement received from the information attaché at Sierra Leone’s embassy in Beijing, says that diplomats and senior officials at the embassy have joined the fight to help tackle the deadly Ebola virus, that has so far killed 65 people in Sierra Leone. Following a meeting chaired by the ambassador – Victor Foh, “senior officials have voluntarily agreed to make an initial donation of Five Thousand Dollars ($ 5000) towards our nation’s fight against the Ebola Virus in our country”, says Mr. John Baimba Sesay – information attache. According to the statement from the embassy, the headquarters of the ministry of foreign affairs and international cooperation in Freetown, has been authorised to deduct $5,000 from the July salaries of the Beijing embassy staff. 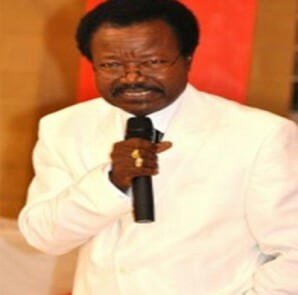 Despite their meagre salaries, each official has generously agreed to make the following donation: Ambassador Victor Bockarie Foh – $2000; Deputy Ambassador Alice Kumba Momoh – $1000; Financial Attaché Amara Koroma – $1000; First Secretary and Acting Head Of Chancery – Augusta Akibo-Jones – $500; and the Press Attaché – Mr. John Baimba Sesay – $500. 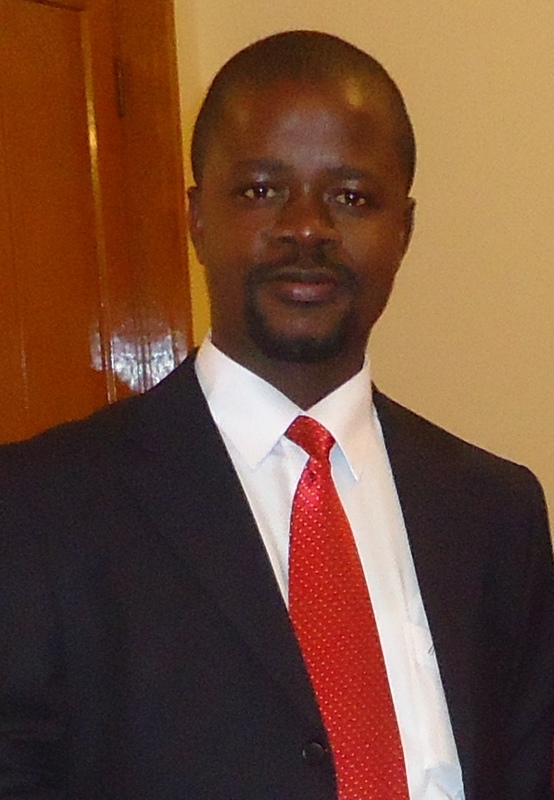 “This appeal is also extended to all Sierra Leoneans in countries to which the embassy is also accredited, including Australia, Indonesia, India, Japan, Malaysia, Singapore and Vietnam,” says Mr. John Baimba Sesay. “The Embassy staff would also like to show great appreciation for the efforts being made by His Excellency President Dr. Ernest Bai Koroma, Vice President, Ministers and Deputies; all of whom have volunteered various percentages of their salaries towards addressing this health challenge,” says ambassador Foh in Beijing (Photo). Chairing a Cabinet meeting held at State House on Wednesday, 2nd July 2014, a sombre, though resolute president Koroma, spoke of the desperate need for all Sierra Leoneans to come together, and with the help of the international community, unite to help stop the spread of the deadly disease. In a statement issued by State House on Wednesday, cabinet ministers have unanimously agreed to make personal donations from their salaries, towards the Ebola Campaign Fund. “It was also agreed that 50% of the salaries of the President and the Vice President should be deducted for the same period, and for the same purpose; and that 25% of the salaries of Deputy Ministers should be deducted accordingly. 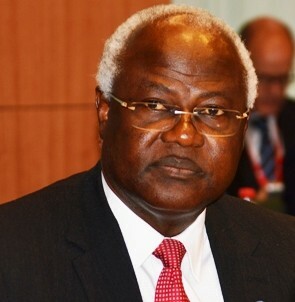 In his state of the nation address on the Ebola Disease, delivered on national radio and television two days ago, President Ernest Bai Koroma once again appealed to all Sierra Leoneans to unite – irrespective of tribal, political and religious differences to fight the Ebola virus, which has so far killed 65 people in the country. “As we commence the Holy Month of Ramadan, let me, on behalf of the Government and people of Sierra Leone, and in my own name, wish our brothers and sisters in Islam – Ramadan Kareem, and I pray that Allah will accept our fasting. “And let us, in this holy month, remember in our prayers our brothers and sisters that have fallen victim to the Ebola Disease. “Ebola is real; Ebola kills. As at our update today, 388 cases have been tested, 199 laboratory confirmed cases, 65 confirmed deaths, and 23 cases discharged. “Nearly all of these cases occurred in the Kailahun and Kenema districts. “Fellow citizens, Ebola in any part of our country is a matter for everyone in the nation. This is not only a matter for our brothers and sisters in the Kenema and Kailahun districts, it is a fight for every one of us, everyone in the government, everyone in every political party, in every region, every district, city, town and village. “Many citizens have risen up to the challenge of fighting this disease, and we commend their great and noble services, from health workers, to paramount chiefs, teachers, police officers, religious leaders, youths and ordinary citizens. “Let me also use this opportunity to commend all of our local and international partners at the forefront of the fight against Ebola. “Since the first reported case of the Ebola virus in the country, we have acted to tackle it. We designed an Ebola Response Plan, set up an inter-ministerial committee to mobilize support across the various government agencies; and established a National task force comprising committees on case management, laboratory and surveillance, logistics, communications and social mobilization. “We have set up pre-referral centres in Koindu and Daru, treatment centres in Kailahun and Kenema, and observation units in government hospitals and health facilities all over the country. “When Ebola hit our sister republic of Guinea, we commenced and completed the training of 300 health workers on Ebola case management and we have been training more on a weekly basis. “Fully cognizant of the fact that government cannot do it all, we engaged the Motor Drivers Union, the Bike Riders Association, Market Associations, civil society organizations, members of parliament, political parties, the interreligious council, musicians, and the traditional healers. “We engaged our international partners for support, assembling an international team of professionals to aid our actions against the disease. “We have provided resources to members of parliament from Kailahun, Kenema and Bo for awareness raising purposes, and we asked the leadership of political parties to come up with a plan of action that we will support. “This is a national fight, and all must be involved. And I strongly believe that our country has the goodwill, the resilience and the determination to scale this challenge. “Together with partners we are also providing door to door sensitization on Ebola; and with the World Food Programme we have commenced the provision of food subsidies targeting 30,000 persons in Kailahun and Kenema. This will continue for three months. “But we need to do more. That was why last week I instructed the provision of an additional 8 billion Leones to support the fight against Ebola. 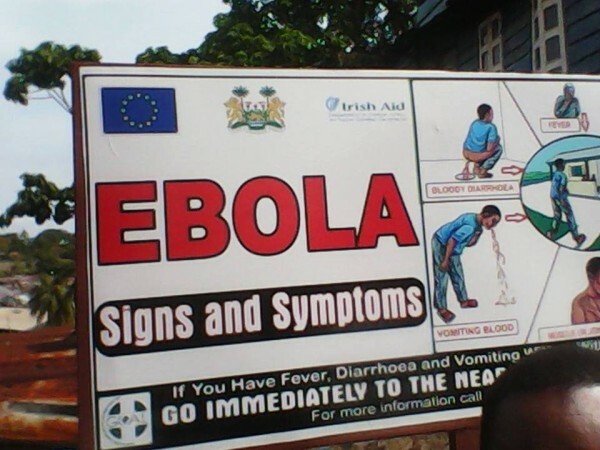 “The major route of transmission of the Ebola virus is contact with persons infected with the virus. “That is why the main way to stop the spread of the disease is preventing contact with persons with the virus, and everybody who has had this unprotected contact could be carrying the virus and at risk of infecting others. “Tracing these persons and taking them to our observation and treatment centres is therefore integral to the fight against the disease. “Working with our partners, we have just recruited and trained an additional 150 volunteers in Kailahun for tracing people who had unprotected contact with Ebola victims in Kailahun and we are soon commencing training of a second batch of 150 volunteers in Kenema. “The cooperation of all is needed to ensure effective tracing of those who have had contact with persons with Ebola. “We must sustain this effort to defeat Ebola. The police are under instructions to intensify actions against those who violate provisions of the Public Health Ordinance of 1960. “The law states that anyone who obstructs or interferes with the performance of the medical team in relation to an outbreak like Ebola is guilty of an offence and liable to punishment. “Anybody who knowingly harbours an Ebola victim without notifying health authorities is also guilty of an offence and we will ensure that the full penalty of the law is meted out on them. “We are increasing police presence around health facilities to uphold the law and prevent incidents of violence against health workers and vandalization of health facilities. “The national effort of patriotic citizens from all regions, all political parties and districts must not be derailed by a misguided few. This country will resist them with the full force of the law, and by God’s grace, we shall prevail. “We have also instructed the police to ensure that all vehicles and their passengers entering and leaving Kailahun and Kenema districts subject themselves to screening by authorities at various checkpoints. “We also expect our paramount chiefs, other traditional rulers, mayors, district council chairpersons and councillors to support the implementation of all measures to combat the disease. “Also, all local and cross border trade fairs or Lumas are prohibited until such a time when the Ebola virus would have been contained. “We commend the chiefs and people of the Kono and Pujehun Districts and urge them to sustain their cooperation with the authorities to prevent the spread of the disease. “We salute the people of Bo, Koinadugu and Kambia for their vigilance and cooperation. We stand with the chiefs and people of Kailahun and Kenema in their continued effort to combat the further spread of the disease. “We commend the volunteer nurses and health workers in Kailahun who are making the personal and professional sacrifices to identify, diagnose and treat Ebola patients. “I hereby instruct the immediate absorption of these brave volunteer nurses and health workers in Kailahun and Kenema into the civil service. “We commend the various associations, companies and diaspora communities, especially Tegloma, that have joined the fight against the disease. “This is a fight for all of us, this is the moment for all of us to stand up and be counted for our positive actions against Ebola. We must defeat this threat to our nation, we must soldier on, and we must prevail.